Regal Crest Homes and Rosehaven Homes are excited to announce the Grand Opening on June 23, 2018 of Phase Two of beautiful Anchor Woods. After the success of Phase One, the builders are confident that Phase Two will be even more outstanding. You’ll be sure to find what you’re looking for in this stunning new community. Regal Crest is an acclaimed home builder that has more than 50 years of experience building beautiful, high-quality homes throughout the GTA. Quality and integrity have gone hand-in-hand at Regal Crest. These elements are not only incorporated into the company and each employee, but also into every home that is built. Rosehaven Homes is a respected home builder, having celebrated its 25th anniversary in 2017. Rosehaven appreciates all its valued customers and strives to provide all of them with the best quality living space possible. Rosehaven has built more than 6,500 homes to date and has received numerous awards for its amazing work. With these two dedicated builders working side by side to create beautiful, high-quality homes, this second phase is sure to be a huge success. 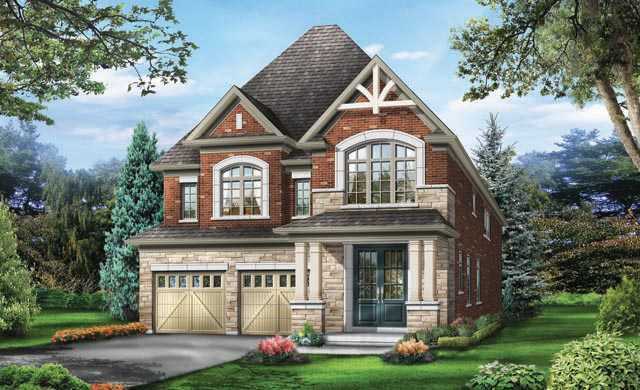 Anchor Woods will offer an exquisite selection of singles, semis and townhomes located in Holland Landing at Doane Road and 2nd Concession, in the town of East Gwillimbury. The town of East Gwillimbury is truly a sought-after location, especially for families. It contains some of the most beautiful and peaceful surroundings as well as many great elementary schools. It’s also home to several historic heritage buildings that give you a look into the captivating history of the town. Holland Landing is the perfect place to raise a family, with plenty of amenities close by. The community exudes country charm, while also being the perfect distance from city life, giving you and your family the best of both worlds. Location is paramount when purchasing a new home. Anchor Woods is surrounded by beautiful scenic spots like Anchor Park, Holland Landing Nature Reserve and the Rogers Reservoir Conservation Area. These peaceful escapes make for a perfect leisurely stroll or quaint picnic location. You will have plenty of opportunities to get to know others in the surrounding communities with the Holland Landing Community Centre just steps away from your new home. Just a short drive away are popular shopping and entertainment destinations such as Upper Canada Mall, LA Fitness, Silver City, The Great Canadian Superstore and much more. Also, accessing Toronto and other parts of the GTA is easy with Hwy. 404 nearby. Life at Anchor Woods will be everything you’ve always dreamed of. With beautifully designed homes, you’ll be in the heart of picturesque, natural surroundings with quick access to all amenities. Come and experience a heightened quality of life at beautiful Anchor Woods!